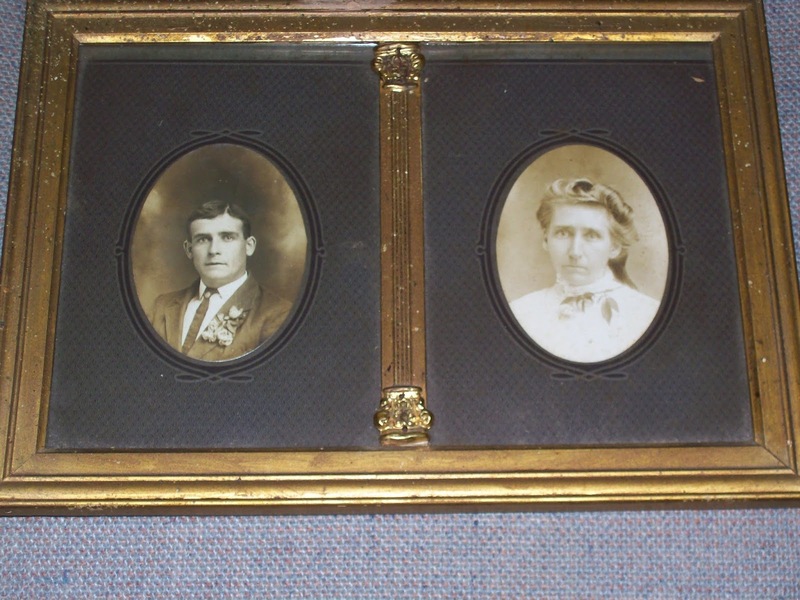 Living in the Past: Just who were Nora and Dora Dellinger? Just who were Nora and Dora Dellinger? When cleaning Daddy’s house out after he moved to an assisted living facility several years ago, we found a few letters and postcards addressed to Miss Nora Dellinger and Mrs. Nora Wilson. I remembered having a Dora (Dellinger) Queen in the family tree who was the mother of Mary Lee Queen, wife of my grand uncle Prince Albert Burnette. With the names Nora and Dora, I figured they had to be related so challenged myself to figure out just who Nora was, as well as the people who had written to her. After doing some research, I now know that Nora and Dora were twin sisters and that both of them went by nicknames instead of their given names. Nora’s name was actually Cordelia Senora Dellinger and Dora was Cornelia Vandora Dellinger. Their parents were Henry Dellinger and Mary Lavonia Duncan. The 1940 Greensboro, Greene County, Georgia census record confirms the relationship showing Nora Wilson living in the home of Prince and Mary (Queen) Burnette, along with Dora and another daughter named Cora Belle Queen. Prince Burnette is my paternal grand uncle. Daddy ended up with a few items from Uncle Prince so that would explain why he had the letters and postcards. Now that I knew who Nora was, I wanted to figure out who the people were that were writing her and the people mentioned in the letters. The first item was a postcard addressed to Miss Nora Dellinger, who lived at RFD #2 in Athens, Georgia. The front of the postcard tells me that it was an “Eighteen View Souvenir Folder of U.S. National Army Cantonment, Camp Jackson, Columbia, South Carolina.” The postcard was sent from PVT William E. Self who was apparently stationed at Camp Jackson. The postmark is unreadable, so I can’t extract a date, but Wikipedia tells me that “Fort Jackson was created in 1917 (as Camp Jackson) as the United States entered World War I. At the conclusion of World War I, Camp Jackson was shut down and the Camp was abandoned 25 April 1922.” Nothing else is written on the postcard but it has awesome images of Camp Jackson. Research shows that William Ezra Self was Nora’s nephew. His mother was her sister, Areadna Kate Dellinger and his father was Headen Monroe Self. William was born in Georgia on September 17, 1901 and died in Greene County, Georgia on February 1, 1965. He would be the 1st cousin of wife of my grand uncle. The next item is a letter postmarked April 21, 1924 from Brookhaven, Georgia. The letter is addressed to Mrs. Nora Wilson of Bishop, Georgia. The return address is from Mrs. S. P. Gillentine of Brookhaven, Georgia. I got your letter all O.K. and was glad to hear from you. This is Saturday night and my little lady has already gone to bed and Pat hasn’t got in from the store yet, so I am going to take advantage of the opportunity and answer your letter. You asked how far it was to where Pat was working. He is running a meat market in one of the stores about two blocks from here. He comes home for lunch every day and gets in about seven o’clock at night except Saturday nights. They stay pen until 9:30 or 10:00 o’clock on Saturday night. Mother was out here this afternoon for a little while. I let her read your letter. She said she got your letter but had just been so busy that she hadn’t written you yet. You asked about our garden. It is doing fine. Some of our onions are most large enough to eat. We have some corn, beans, Irish potatoes, radishes, beets and lettuce up too. We have a few tomatoe plants and pepper plants out. I hope it isn’t cold enough Easter to kill them. We haven’t any chickens yet, but Pat has been talking of getting a few. We would like to have about a dozen hens, so we could have plenty of eggs. We hope to have some fruit someday. We have out two peach trees, two apple trees, a grape vine and scuppernong vine. Pat put out some Rhubarb in the garden, the other day, so we hope to have some good old Rhubarb pie some of these days. Aunt Nora, I just wish you could see our baby. I just know she is the sweetest one in the world and she gets sweeter and prettier every day. She can almost sit alone now. I set her up in the middle of the bed and stack pillows around her and she will sit and play with her doll, rattler, and anything else that I give her to play with. She weighs 14 ¼ lbs. now. She has almost averaged gaining two pounds every month. She only weighed 6 ¾ lbs. at first. I am going to send you a little Kodak picture of Josie Reba, Knox Jr. and myself made while Knox and Mayme were up here. The picture was made at the end of our house. Aunt Nora, you asked if I was ever coming down to see you all. Yes, I hope to someday. I guess I’ll come down some time this summer to spend a week or so and will come to see you all then. You said something about coming up to see us. Of course, we would be glad to have you and you know I wouldn’t be ashamed of you, but if you got sick, I don’t know whether I would know what to do for you or not but would do the best I could. I hope Grandma is feeling alright now. Mama wrote me not long ago that she had been sick. How are all of Uncle Bascom’s folks? Berta was out to see us about a month ago. I don’t see her often, but she seems to be getting along fine. Where is Olin now? It seems to me that I heard he had gone up north somewhere. I guess you are about tired out, so I’ll stop for this time. Research shows that Bertha Lavonia (Brackett) Gillentine was Nora’s niece. Her mother was Nora’s sister, Emma Leila Dellinger and her father William Morgan Fowler Brackett. Bertha was born in Union County, Georgia on January 22, 1896 and died in Marietta, Cobb County, Georgia on July 6, 1993. Bertha’s husband was Silas Patrick “Pat” Gillentine Sr. She would be the 1st cousin of wife of my grand uncle. Their oldest child was Josie Reba Gillentine. Bertha's letter also tells a lot about her life which is always nice to find. Bertha had a brother named Henry “Knox” Brackett Sr. Knox was born in Union County on May 29, 1898 and died in Athens, Clarke County, Georgia on January 3, 1974. Knox was married to Mayme Lee Hardy, daughter of Charles Daniel Hardy and Laura J. Merritt. Knox and Mayme had a son named Henry Knox Brackett Jr.
Uncle Bascom would be Nora’s brother, Joseph Bascomb Dellinger. Bascomb was born on May 19, 1873 and died on September 18, 1938. I’m stumped on who Berta and Olin are. The third item is an envelope addressed to Mrs. Nora Wilson with the address 135 Satula Avenue, Athens, Georgia scratched out and replaced by Greensboro, Ga., RFD c/o H. M. Self. The return address is Mrs. W. E. Cardwell of Box 44, Lyman, Oklahoma. It was postmarked June 12, 1934 from Okla. But the letter inside appears to be some other letter written in 1927. Dear Cousin, after so long a time I will try and answer your welcome letter. I waited a while to get some pictures finished and then I got busy in the strawberries and I worked in them three weeks and when I got through with them I had so much to do that I just kept neglecting writing. Aunt Kate was over and stayed a week the last of May. Daddy is feeling very well. I think he is for a man his age for he plans a little in the garden and potatoes patch every week. Jeanie Willis was up to see us. They live down in Okla she come up to Della’s. I am sending you some pictures one of them is Daddy and Aunt Kate one of myself it isn’t very good and the three old men was made the day before Daddy was 91. I am sending you a piece we cut out of the paper telling about the dinner you can look on the back of the pictures and see the names. Mr. Shields where the dinner was is Mr. Chastain’s grandson and lives about a half mile from us. Sallie and her husband will come to see us the first of July. They live about 200 miles from here out in the oil fields of Okla. Cap is taking his vacation. We are sending you some pictures, so we would be glad you would send us a picture of yourself and of any of the folks. The fourth item is a postcard from J. B. Cranfill of 1017 Fidelity Bldg., Dallas, Texas. It’s addressed to Mrs. Nora Dellinger Wilson, R.1, Box 90, Greensboro, Ga. It was good to have your gracious letter and your order for TEN NIGHTS IN A BARROOM. The price of the other book is $1.00 postpaid, and we will be happy indeed to have your order. You may send it to the address shown on this postcard or to Box 3149, Dallas, Texas, as you prefer. It was mighty good to hear from you and I am praying God’s blessings upon you and all of your loved ones. Apparently, the book “Ten Nights in a Barroom,” written by Timothy Shay Arthur and originally published in 1854, was popular in 1939 after being made into a talking motion picture. Churches across the country played the movie to teach people about the perils of drinking. A news article “Views of Our Readers, Practical Temperance” published in The Indianapolis Star on November 4, 1939, wrote “Let every mother read to her children the book, “Ten Nights in a Barroom,” and see the interest it arouses in them and gives to them an insight of the horrors caused by drink …” According to Wikipedia, “James Britton Cranfill (September 12, 1858 – December 28, 1942), also known as The Reverend J.B. Cranfill, was an American religious figure and prohibitionist who was nominated for Vice President of the United States by the Prohibition Party in 1892 …” Nora must have written him to purchase a copy of the book. Not family but I thought this was interesting. The fifth and last item is a postcard from Edith to Mrs. Nora Wilson at the address 135 Satula Avenue, Athens, Georgia. Mama seemed to be all right when I left Sunday. She had not regained all the strength she had. Aunt Dora went home Sat. Mary has had flu last week. Buel & Ruby came to see Mama Sunday. She hasn’t written us this week but we hope she is getting better every day. Write her. Research shows that Edith Self was Nora’s niece. Her mother was Nora’s sister, Areadna Kate Dellinger and her father Headen Monroe Self. Edith was born in Greensboro, Greene County, Georgia on July 22, 1913 and died on July 20, 2005. Edith’s brother was Thomas Buel Self, born September 19, 1903 and died September 6, 1978 in Macon, Bibb County, Georgia. Buel’s wife was Ruby Lee Shope, born March 25, 1919 in Morgan County, Georgia and died August 7, 2010. Well, I didn’t figure everyone out but managed to take care of most of the unknown people in Nora’s letters. 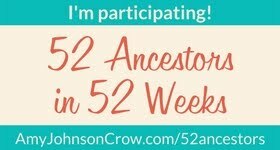 On a side note, I’ve also challenged myself to look through my boxes of unfiled genealogy records throughout the year to find material that matches Amy Johnson Crow’s weekly themes. That might help me get the records cataloged and filed sooner rather than later. We’ll see how that challenge works out! Fort Jackson (South Carolina); https://en.wikipedia.org/wiki/Fort_Jackson_(South_Carolina). Google book review, Ten Nights in a Bar-room, and What I Saw There by Timothy Shay Arthur. "Views of Our Readers, Practical Temperance," p. 10, The Indianapolis Star, Indianapolis, Indiana, November 4, 1939. Theresa, I knew that and meant to include it so thank you for sharing that information. I've added it to the blog. Do you have a connection to the family? I am a granddaughter of Aunt Nora and Aunt Dora's brother Thomas Bunyan Dellinger. I never knew them but heard of them all my life as well as Aunt Kate and Uncle Bascom. Olin, I know was a son of Uncle Bascom and I am pretty sure Berta was too. She married an Elder. There were other siblings. There was an aunt Zemily and aunt Calle who stayed in the mountains. My grandfather and Uncle Bascom were the only males. Thanks for the clarification for Olin and Berta. I've been working on the Dellinger line since last weekend but haven't found them yet. Caldwell. I think the aunt Kate in Georgia's letter is probably John and HENRY'S sister Eva Catherine Dellinger Guthary. No I don't have pictures of these people. Although there is one picture that I think might be Dora. I have a small group of photos that once belonged to Uncle Prince.